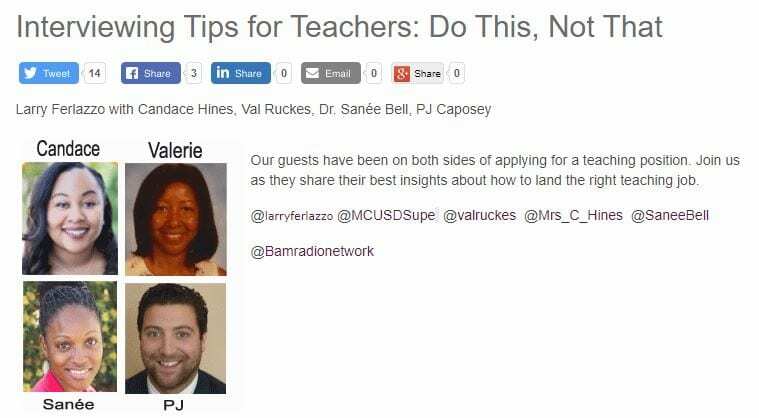 Interviewing Tips for Teachers: Do This, Not That is the topic of my latest ten-minute BAM! Radio Show. I’m joined in the conversation by Candace Hines, Val Ruckes, Dr. Sanée Bell, and PJ Caposey, who have all also contributed written commentaries to my Ed Week Teacher column.